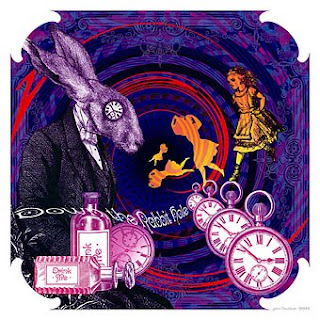 Artist and designer John Coulthart has created a very cool psychedelic Alice in Wonderland calendar. Unrelated but interesting: Coulthart's illustrations for H.P. Lovecraft stories in: The Haunter of the Dark: And Other Grotesque Visions.